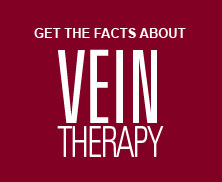 Services | Ohio Vein & Vascular, Inc. Services – Ohio Vein & Vascular, Inc.
Dr. Brian J. Santin is a board eligible vascular surgeon and leader in vascular surgery and minimally invasive endovascular therapy. Through comprehensive state-of-the-art diagnostic and therapeutic interventions for the entire spectrum of circulatory (artery & vein) disorders, Dr. Santin treats these conditions using proven medical management methods, high-quality minimally invasive endovascular therapy, and conventional open surgery. What are some Vascular Conditions that surgery can answer? Dr. Santin utilizes modern diagnostic technologies that assist in offering patients state-of-the-art therapies with minimal trauma and discomfort. Through endovascular therapies, including stenting of the arteries and balloon angioplasty, Dr. Santin is able to offer solutions to patients who maybe at high-risk for conventional open surgical repair. These technologies eliminate the need for general anesthesia, result in markedly decreased incision sizes (typically only a poke hole in the skin), and most often, the ability for the patient to have the procedure and return home the same day. While not all patients may be candidates for the minimally invasive endovascular techniques, we thoroughly discuss all options with each patient and their family. Our intention is to make sure that everyone is fully informed and understands the approach that will provide them with individualized, highquality vascular surgical care.